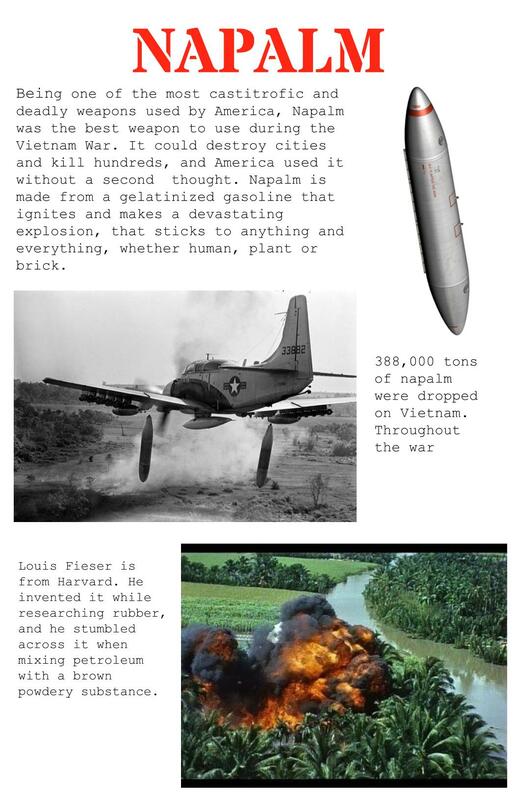 ​For this project we started off by learning about war in general. We started off with the Cold war, which is America vs USSR, and it was a big game of showing off. In the cold war, America was building rockets and showing them off, but then USSR would do the same but be ‘one upping' America in the process. This process took me into the book called Animal Farm, which I really enjoyed, but that was all I enjoyed about learning about the Cold War. To me learning about the Cold War had no significance to the final outcome of this project. When we came back from break we began to learn about the Gulf of Tonkin incident when supposedly an American boat was peacefully coasting in neutral territory when it was then fired upon. The few things that were wrong with this were that: 1, The ship was in coastal waters which were the vietnamese to protect. 2, The ships beforehand were already firing on coastal bases of the vietnamese beforehand. And 3, We were in the war about 4 months beforehand. After we were done writing the essay about our side in the war, we started reading the book The Things They Carried, which was very interesting, but also kind of depressing. We learned more about the troops while in war, and their raw emotions and death they saw every single day. That book was really deep, but what truly slapped me into consciousness was when we interviewed veterans from the Vietnam War. I interviewed a man called Calixto, he was a ground soldier, he has 3 purple hearts and was ranked as a Sargent. His story of being lost, regrouping, getting shot not once but three times was so strong and very heavy on my heart. This altogether really inspired the outcome of this exhibition. To show our work we created a walkthrough exhibition in which a lot of kids would act out parts that they chose. In the beginning there was a living room where there were actors that played a family that had their son go off to war. It felt really real and I saw the faces of everyone, and they seemed to not only really like this part, but also feel what the actors felt. Almost like they went through the exact experiences. The next room was where I was, the soldiers in the battle where was had people put on dog tags to seem like they were going to Vietnam. I was a medic treating a soldier that was either shot, or fell into a punji spike pit. I would sometimes call in a helicopter to get a medical evac if I decided to ‘act’ that the person was not in a good condition enough for just me to ‘save’ them. They also walked on and were greeted by the soldiers emotions room where they listened to the interviews that we did previously. The people really liked that part and that room was one of the top three. The fourth room was the vietnamese perspective of war where they would be able to see the other side of the war. After that room was a room where there was music room where a band played music from that era of time. But also protests of that time. The final room was where people could go and put their dog tags, but also see other information that was not included. Personally I did strengthen my skills, I made infographics and brought in supplies to help my room look better, like fog machines, camouflage, vests, and other such equipment. The skill I strengthened is my communication and my idea spreading, because I’m usually shy with people I don’t usually work with I keep my ideas to myself, but I told myself to just say something and see if people liked my ideas, and I helped create the medic station and the jungle scene we had was, for the most part my idea. The problem I personally had with this project was a couple of things, Space and time, I had so many good ideas and I wanted to share them, but we not only did not have the space for the big room I had envisioned, but we only had about two days to set up for this so we could not do everything that would have made my part of the exhibition 1000x better. Personally if I could back in time and go slap some sense into myself I’d really push for a much bigger area to setup in, but because the lack of space we were unable to. But I still really wish to strengthen my communication skills more. This project did not change too much of my perspective, only that I learned how much hell war was, I knew it was hell, but not level 7 hell. 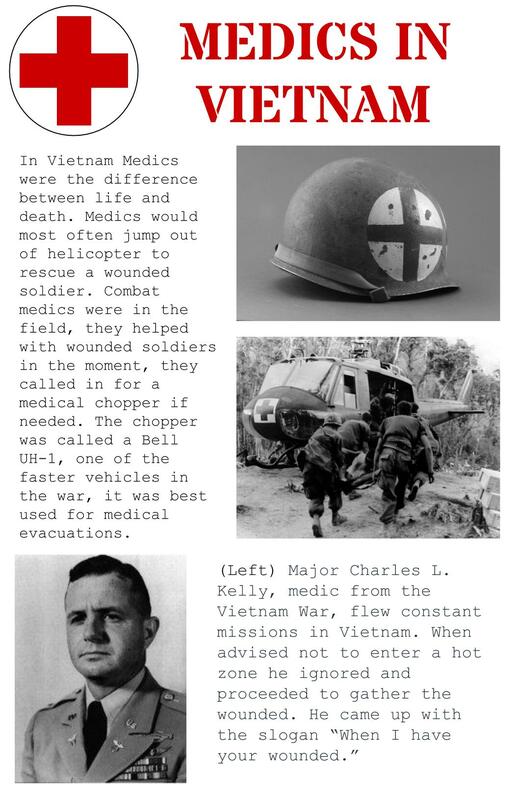 I also did not know that war had the worst effect on a person, which is PTSD. I knew that it was traumatising, but after the interviews, I saw that war is the deepest part of hell. Some other things during the beginning of the project the things we were learning were not my beliefs, and were very one sided, being leftist, very very leftist. I will deal with that, but I’d still like the learning process to be more neutral, and yes it did get more neutral during the end of the project, but I’d still like to advocate for future peers. The leftist ideas caught me for a moment and I believed some things that I usually don’t, but I quickly slapped myself and moved on to what I believe is true. Something I’m sure im going to take away is that what happened in war, why it's hell, and why it's not something that should be taken lightly, and all of that is because of the interviews. All of what I’m taking away from this is thanks to Calixto.